Most organizations take an administrative approach to managing denials. Maybe that’s why they’re not collecting as much as they should. The good news is that about two-thirds of denials are recoverable, and 90 percent are preventable.4 The problem is that many provider organizations view denials as a back-of-the-house, patient-handling problem, although studies reveal that 30 percent to 40 percent of denials are attributed to registration errors.5 Another problem is that denials are often addressed as administrative issues when there are often clinical factors involved. 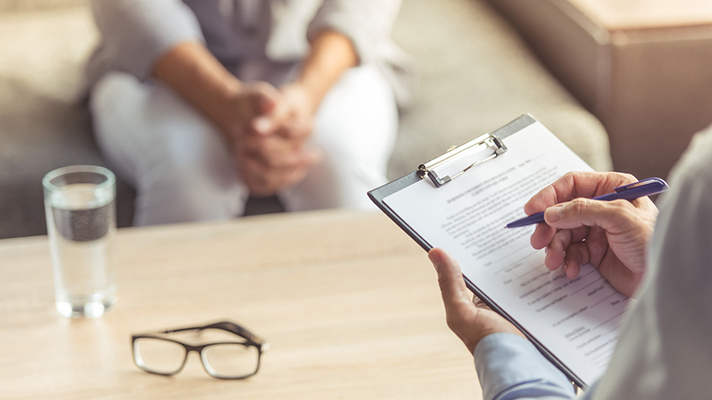 By focusing more attention on the front end of the revenue cycle and addressing denials from a holistic, organization-wide approach that includes financial and clinical factors, organizations can close the gap on those 90 percent of preventable denials. Today, any good denial prevention/resolution process should be grounded in core analytics – using data analysis to determine where the problems lie. Root causes can originate anywhere – from patient access and registration, insufficient documentation and coding/ billing errors to payer behavior and utilization/case management. Once the cause is identified, it must be analyzed to determine which has the greatest impact: a certain physician, service line, or payer; a certain type of code; or a process in need of a redesign in both the clinical and revenue cycle areas. Reducing denials takes an organization-wide effort that must include multiple disciplines. Let’s look at some of the most prevalent denial causes and explore ways to stem them. About 30 percent to 40 percent of denials are the result of registration and pre-service related challenges. These represent the best chance to improve revenue. Eligibility denials often occur when a payer is no longer responsible for coverage. Not everyone’s eligibility changes “on a dime,” but some parts, such as a deductible, can. A deductible of $5,000 could drop between the time eligibility is first checked and when the bill is posted. Root-cause analysis may reveal that the patient access staff is not performing thorough eligibility verification. The solution would involve confirming eligibility at scheduling, then three days before elective service, on the date of service and once more before submitting the claim. For emergency patients, eligibility should be checked at the point of service, and patients should be contacted within 24 hours. The tools are there to enable these multi-point eligibility checks. Pre-authorization is another source of denials and work effort. Nursing staff spends more than 13 hours per physician per week on prior authorization.6 Pre-authorization and medical necessity-related denials account for more than 11 percent of all denials and are usually due to failure to secure an authorization in advance, or a clinically driven change in the procedure. Authorization starts with procedure-specific policies crafted and managed at the payer, plan, employer and group levels. Consider the number of different payers and plans encountered daily. An examination of 1,300 policy documents across multiple payers revealed only about 8 percent commonality (what requires an authorization and what doesn’t).8 The decentralization of the pre-authorization process in hospitals and health systems is another issue. • Designate a team to govern the pre-authorization process and ensure a reliable and stable approach. • Automate pre-authorization screening and verification – have it embedded in workflow – to know what requires a pre-authorization, and to verify that it is in place. • Automate payer policy maintenance – the location, capture and maintenance of payer authorization policies to increase accuracy and reduce administrative burden. • Automate authorization acquisition – including evidence-based support. • Get a handle on medical necessity – analyze the case management system to identify gaps that cause denials. Revenue cycle staff needs to share data and provide insight into where to focus denial prevention. The clinical staff rarely sees a report on denials and are not being asked for input on how to improve processes. Ensuring that operational reports from finance and revenue cycle are being circulated and reviewed can go a long way toward bridging this gap. Ultimately, data should be the driver of a denials management program. If you have the data, and teams are developing action plans and looking for improvement opportunities, they will find ways to reduce denials. 1. PNC Financial Services Group, Automated Billing/Payment Process Can Reduce U.S. Health Care Costs without Sacrificing Patient Care, November 2007. 2. Driving the Denials Management Initiative, a Renewed Focus, The Advisory Board Company, Washington, D.C., web conference, July 2009. 4. “An ounce of prevention pays off: 90% of denials are preventable.” The Advisory Board Company, Dec. 11, 2014. 6. Health Affairs, What Does It Cost Physician Practices To Interact With Health Insurance Plans? 2009. 7. AMA Survey of Physicians on Preauthorization Requirements, May 2010. Jason Williams, Vice President, Strategy and Business Analytics, Change Healthcare. © 2017 Change Healthcare Operations, LLC. and/or its subsidiaries and affiliates. Change Healthcare, the Change Healthcare logos, are trademarks of Change Healthcare Operations, LLC. All Rights Reserved.